“You’re going to need surgery,” is a very disconcerting phrase that most people dread hearing from a medical professional, but when it comes to surgeries prescribed by your podiatrist, you can put your mind at rest. Foot and ankle procedures generally have a recovery period that is much shorter than that of many other types of surgery. A patient can resume regular everyday activities in relatively little time. One of the most popular types of podiatric procedures is to take care of bunions, which even gorgeous celebrities like Victoria Beckham have struggled with. Because of the widespread occurrence of bunions requiring treatment further than that which can be administered non-invasively, there are more than 100 variations of this procedure. Bunion surgery is constantly being improved and with the most current methods, recovery can be as quick as six weeks if all post-op directions are adhered to. Hammertoe surgery is another very common podiatric procedure. Since arthritis is one of the causes of hammertoes, and 1 in 5 adults in the U.S. report to have been diagnosed with it, hammertoe treatment is a staple in podiatric medicine. The procedure is minimally invasive and only requires a local anesthetic. Normal recovery is no more than a few weeks, and patients can even walk while their toe heals. Heel spurs, common among athletes and diabetics, also require surgery that is very minimally invasive. A small incision on the bottom or the side of the heel is all that is necessary, and therefore recovery is rapid and the patient can walk immediately after the procedure. It typically only takes three weeks for a total recovery. White coat syndrome causes many people to refuse the surgery they truly need. Our goal at Quality Foot Care is to assure our patients that they will be receiving state of the art foot and ankle treatment that they can feel good about. 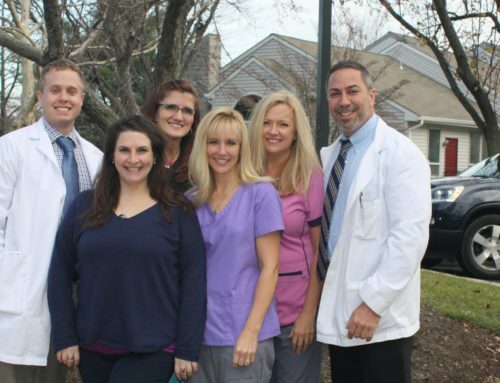 The path to a speedy recovery starts with a visit to our Doylestown office.